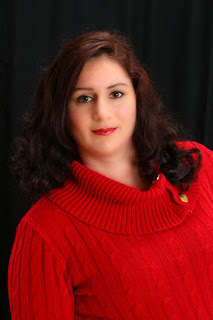 Please welcome Patricia Eimer to The Qwillery as part of the Devil May Care Blog Tour. 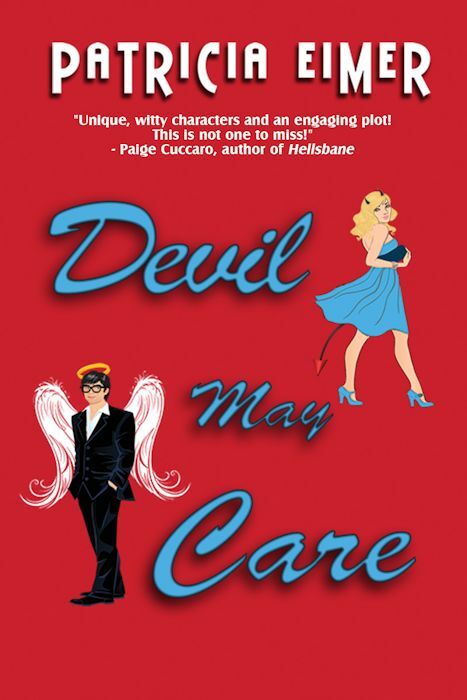 Devil May Care will be published on February 26th. Patricia: Thanks for having me. Patricia: I’ve got to write to music. I mean I seriously cannot function without music going in the background but it can’t have words to it so I’m constantly on the lookout for orchestral renditions of pop music. Right now I’m living on Vitamin String Quartet music while I write and edit. Patricia: I used to be a major pantser and then I started trying to plot and it sort of snowballed and my current WIP has something like a 150 page outline for a 65K work. It sounds crazy but it made the first draft a lot easier to write and there was a lot less red when it came back from my CPs so I guess it works. Patricia: Making myself edit. It’s just the one thing I CAN’T STAND doing and I really have to sort of bribe myself to do it with the promise of chocolate and red wine. TQ: What inspired you to write the Speak of the Devil series, Luck of the Devil and now Devil May Care? 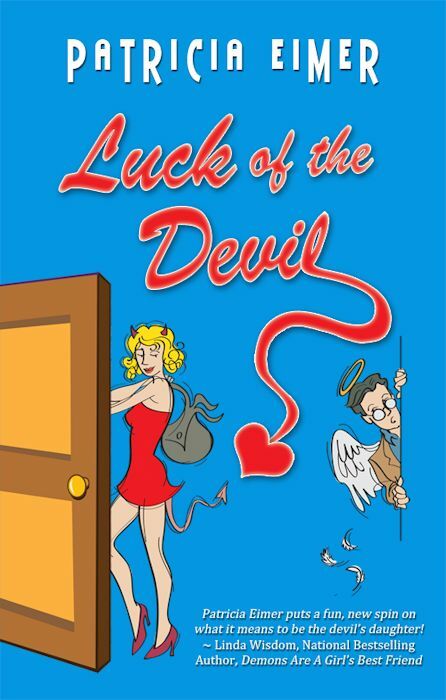 Patricia: Luck of the Devil sort of came to me one night in the supermarket while I was sort of aimlessly wandering, considering whether or not frozen pizza would help writers block and I saw this woman having an argument on her phone and boom, there it was, Faith. I’d never even considered writing a sequel—originally Faith and Matt get HEA at the end of Luck of the Devil—and then Liz Pelletier at my publishers suggested turning it into a series and suddenly I had the chance to torture Faith and Matt for another 180,000 words and well he suffers so pretty. Who can turn down the chance at that? TQ: Tell us something about Devil May Care (Speak of the Devil 2) that is not in the book description. Patricia: I actually got to create my favorite characters in this book. My absolute favorite race of creatures (I want to give them their own series actually), they’re called Imps and they’re blue and look sort of like demonic smurfs with a lust for blood and vengeance. TQ: In the series so far who was the easiest character to write and why? The hardest and why? Patricia: Malachi and Harold are always the easiest to write. Those two are just the snarky voices in my head just gone to eleven and poured on the page. I love writing those two. The hardest to write is always Faith. She’s got a lot going on in her life and in her head and she’s trying to balance all these things and some part of her really thinks she doesn’t deserve to be happy and sometimes I just want to smack her and other times I want to cuddle her and then there are days I just can’t even stand to torture her anymore. But when it works she’s always the character I root for. TQ: Without giving anything away, what is/are your favorite scene(s) in Devil May Care? Patricia: The weddings. There are two weddings—Roisin and the Devil and Lisa and Tolliver—and those were just really great scenes to write. I mean anytime I can get Roisin in a situation and poke her with a stick it always makes my day because even I really have no idea what she’s going to do. Patricia: There’s another Speak of the Devil book—Before the Devil Knows You’re Dead-- coming out next February, so we’re editing on that and I’ve actually got a couple more things coming out in the next year—a steampunk short story in Entangled’s Riveting Affair Anthology and three Middle Grade/Young Adult Fantasy Romance novels under the penname Andria Buchanan (currently untitled but due to drop in September, October and November of this year from Entangled Teen). Other than that right now my WIPs involve a couple of contemporary romances about a group of not so super heroes and then next on my radar is trying both a historical novel and a racier novel as well but those haven’t gotten much further than the planning stages. Patricia: Thank you for having me. Now Faith will stop at nothing to stop the craziness and make sure the impending nuptials go off without a hitch. All she’s got to do is rescue one of the grooms and go up against an army of so-called do-gooders, and everything will go back to normal. Or as normal as it can be where the Devil's spawn is concerned. With any luck, she might just be able to resuscitate her love life while she's at it. I'm a small town girl who was blessed with a large tree in the backyard that was a perfect spot for reading on summer days. Mixed with too much imagination it made me a bratty child but fated me to become a storyteller. After a stint of “thinking practically” in my twenties I earned degrees in Business and Economics and worked for a software firm in southwestern Germany but my passion has always been a good book. I currently lives in Pittsburgh with my two wonderful kids and a husband that learned the gourmet art of frozen pizzas to give me more time to write. When I'm not writing I can be found fencing and arguing with my dogs about plot points. Most days the Beagle wins but the Dalmatian is in close second. I'm in a distant third. I love the first book in this series - it was so funny! Highly recommend it and can't wait for the second. These sound cute, and I'm in the mood for cute lately. I've added them to the towering TBR list!